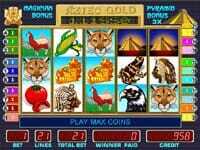 Game Description: New slot game based on Aztec Gold theme. Anybody knows what Eldorado is. Nobody have discovered it till now. Tomatoes and corn seeds were the largest Aztec`s treasures, but they could not imagine it. Remember the conquistadors' fate. Only few of them became rich. You have a chance to find Aztec gold in a Pyramid. 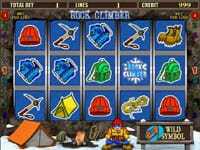 But much more bonuses you will receive in the Diamond Pyramid. 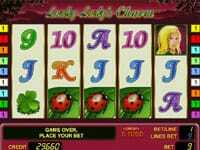 Max bonus prize is 390 times the total bet. It is worth to try a REAL game. Please, read HELP very attentively!